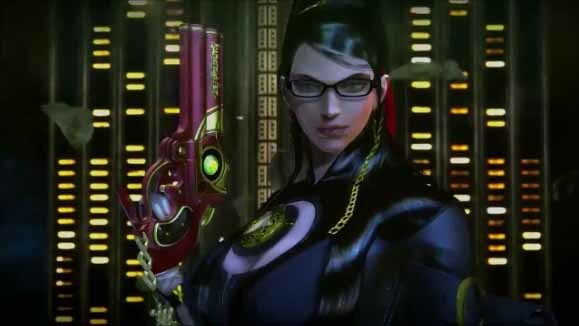 Bayonetta is a third person single player action game with a mix of shooting and melee combat. 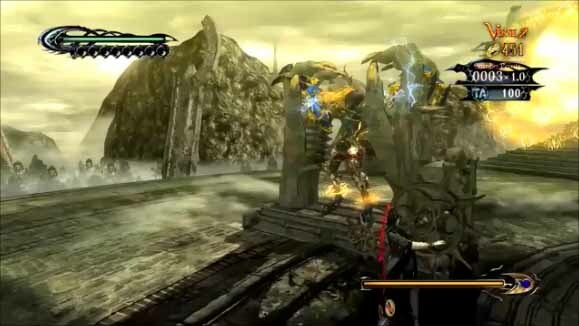 The game is in the same style of Devil May Cry and God of War. 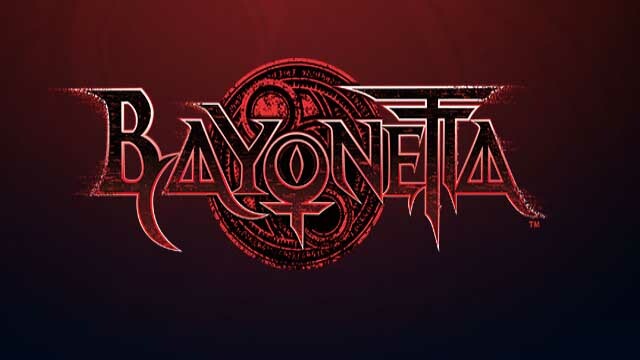 Twenty years ago Bayonetta was found under water in a magically seal stone casket. She has no idea who she is and why she has such powers. She is trapped between heaven and hell. Every day angelic creatures are hunting her down to take her life and she must defeat them in order to satisfy the darkness that is also chasing her. A woman named Jeanne shows up and Bayonetta realizes that Jeanne is in the flashbacks she has been having since she was freed from her underwater tomb. Who is this woman? Is she on her side? In a surprise to us Bayonetta is a masterful flawless game from start to finish. Starting from the first few minutes of the action you get caught up in the smooth controls and easy to figure out combat system. You can very easily do huge multiple hit combos both in the air and on the ground. Bayonetta has a very fast pace system and it is always asking you to dodge your adversaries. Each time you avoid being hit you are place into Witch Time where you are moving at a normal pace while they are in slow motion. This sets up for better combos and puts you into position for the special attacks. Dozens of times in the game when you meet the criteria you can go into quick time events that will give you more halos to buy stuff by engaging these over the top attacks against all creatures in the game. These special combo attacks makes Bayonetta stand out and are in the God of War class when it comes to fun. This great combat and smooth controls are even better when facing the well planned out boss battles and there are a lot of them both mid-level bosses and ones that are the size of buildings. With this much intense combat each time you come up against one of them you would think that they are all the same but each battle is different. You are not just repeating the same thing, you have to figure out how to defeat them each time. Yes, there are some similarities because sometimes you will fight the same boss more than once but that is because the one boss is chasing you through the level or waiting for you at the end of each section. The battles are some of the best in gaming and you still have to use the dodge system to slow down time. You cannot just keep hitting the attack buttons over and over, you must plan a strategy for each. There is nothing bad to say about Bayonetta. It took us about 12 to 15 hours to get through the game the first time. Bayonetta even has a very easy mode where you can just play through the main story really fast and do all of the over the top combat elements without effort just for the fun of it and the replay value is very high. The story is deep and is fun and funny when it tries to be. It is a little suggestive at times but it is not over done and the game does not just try to put in pointless shock value as a main point of Bayonetta’s character. You want to find out about her story, where she comes from and why are these creatures after her. Bayonetta is a must buy for any type of gamer and you Nintendo people will get some benefits for buying it on the Wii U, like a Samus Metroid costume. Bayonetta sets the bar really high for this style of game and we could not put it down even after we finished it the first time. Worth your $60 of you money even if you are not in to this style of game!